After nearly two decades of quality filmmaking, writer/ director Paul Thomas Anderson (The Master, There Will Be Blood) can realistically make any film he wishes. After looking into the fundamentals of operating and joining a cult in 2012 with The Master, Anderson quickly got to work on his next project adapting Thomas Pynchon’s novel Inherent Vice into a film of the same title. With his newest picture, PTA employs of his trademark techniques: a large, star-studded ensemble, comedy where you’d least expect it, extended takes, and a groovy score from Radiohead guitarist Jonny Greenwood (We Need to Talk About Kevin, The Master). Like The Master, Joaquin Phoenix again stars and gives his funniest performance on screen to date with perfect timing as Private Investigator Larry “Doc” Sportello. Like Anderson’s Boogie Nights, his newest film boasts a large cast of movie stars and features a 1970s So-Cal setting. The comparisons won’t end there as Inherent Vice has several obvious influences—not a single one of them bad by film standards. Despite having a long runtime and occasionally running into too much confusion for its own good (or perhaps that was PTA’s desired effect? ), Inherent Vice will inevitably find itself all over critics’ top ten lists for 2014. Anderson draws heavily from the 1940s and 50 film noir era, beginning with a noir-esque narration from Sortilège (musician Joanna Newsom), one of Doc’s consorts. Sortilège introduces Shasta (Katherine Waterston—Being Flynn, “Boardwalk Empire”) and the plot thickens. She wanders into ex-beau Doc’s place and tells him that the wife of the man she’s sleeping with and a lover want her cooperation to have the husband committed to an institution in order to assume his fortune. “I have an office now,” Doc says. Shasta has reservations about it and asks Doc to peek into the situation. Just like the Coen brothers drew from The Big Sleep (1946) for The Big Lebowski, so does PTA with Inherent Vice. Newsom’s narration doesn’t leave after the opening scene either as her voice serves as an excellent transitional device throughout. The film, like Doc, meanders its way to a hazy conclusion as he picks up more cases that conveniently (or maybe not) appear to tie-in together. The 1970 So-Cal film noir with a perpetually stoned protagonist and incredibly talented supporting cast makes Inherent Vice give a Chinatown-meets-The Big Lebowski-by-way-of-Boogie Nights vibe. Phoenix gives his best performance since The Master. Anderson found inspiration in old Cheech and Chong films like Up in Smoke, in addition to 40s film noir, for Inherent Vice. Phoenix’s Doc is a far cry from the 40s private investigators. You’d never see Humphrey Bogart curling his hair by tying fabric knots (or at all), or burning a joint on screen like Doc does throughout the film. Some of the film’s funnier antics come out of other characters’ inability to take the “hippie” Doc seriously, such as the stereotypical onscreen cops who disrespect and bully him. Phoenix’s Doc never has both feet firmly planted in reality as he just gets high and slips from one lead to the other, navigating a quirky mystery that never really builds to an epic climax with a huge conspiracy reveal. Inherent Vice serves the characters more than the overall story, but given that there are so many unforgettable characters and dynamite performances, it’s a sin that’s easily forgotten. Despite Waterston playing the female “lead,” there are no real leads outside of Phoenix’s Doc, who appears onscreen with all characters. Waterston’s Shasta isn’t quite the femme fatale she should be—disappearing for most of the film outside of flashbacks, functioning only to set Doc off on his trippy adventure, then disappearing mysteriously. Academy Award-nominee Josh Brolin (Milk, Oldboy) shares the most screen time with Phoenix. Brolin brilliantly plays, Detective “Bigfoot” Bjornson, the antithesis of Doc—a hard-boiled, flat-top detective with anger management issues. Expect his name among contenders for the “Actor in a Supporting Role” category at the Oscars. Owen Wilson (Night at the Museum: Secret of the Tomb, Midnight in Paris) shows up as a deep-cover police informant, hilariously undercover in the most unlikely places. Academy Award-winner Reese Witherspoon (Wild, Mud)appears in a bit part as another one of Doc’s consorts—playing a Deputy District Attorney who, at first, looks much too clean and successful to associate with a burned-out PI. Oscar-winner Benicio Del Toro (Guardians of the Galaxy, Escobar: Paradise Lost) plays Sauncho Smilax, a knowledgeable maritime lawyer who also represents Doc. Perhaps the most memorable character from the supporting players comes via comedy icon Martin Short as a hedonistic dentist who loves snorting blow and cackling. Short’s revelatory, over-the-top, and energetic performance may find him an outside Oscar nod, or at the very least, a wide selection of new acting jobs. 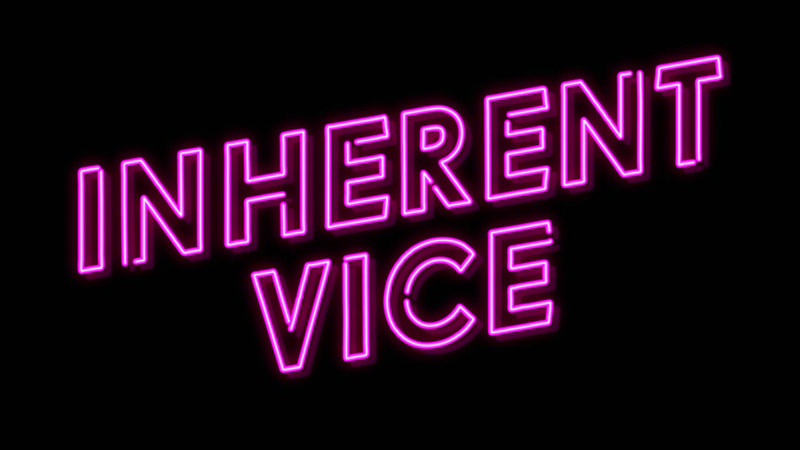 Inherent Vice contains everything the Paul Thomas Anderson brand promises: a deep cast giving their best performances, a quirky, resonating score from Jonny Greenwood, deadpan comedy, excellent writing, and unmatched filmmaking. Anderson and Phoenix have proven to be expert collaborators yet again as the director and actor completely capture the essence of Gordita Beach (a fictional representation of Manhattan Beach), 1970. The dichotomy between Phoenix’s hippie, stoned Doc and Brolin’s angry, cut-and-dry Bigfoot demonstrates how much film protagonists have changed over the past seventy-five years. Pynchon couldn’t have asked for a better film adaptation of his work.